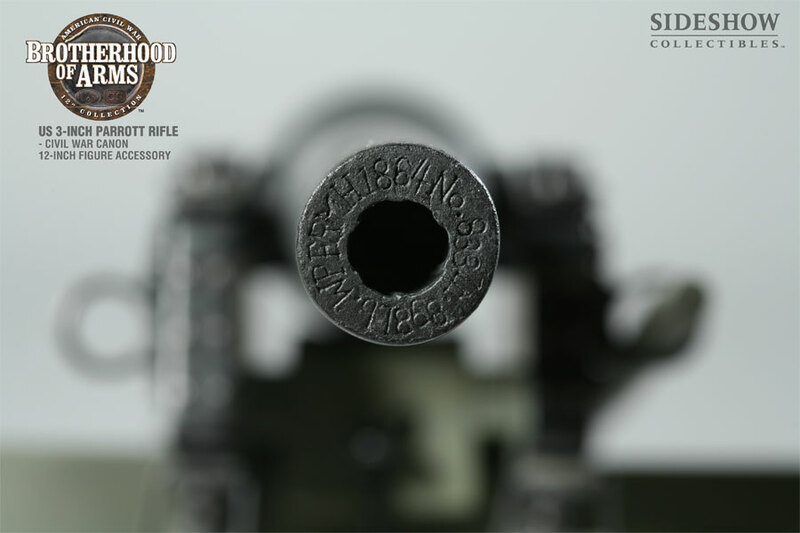 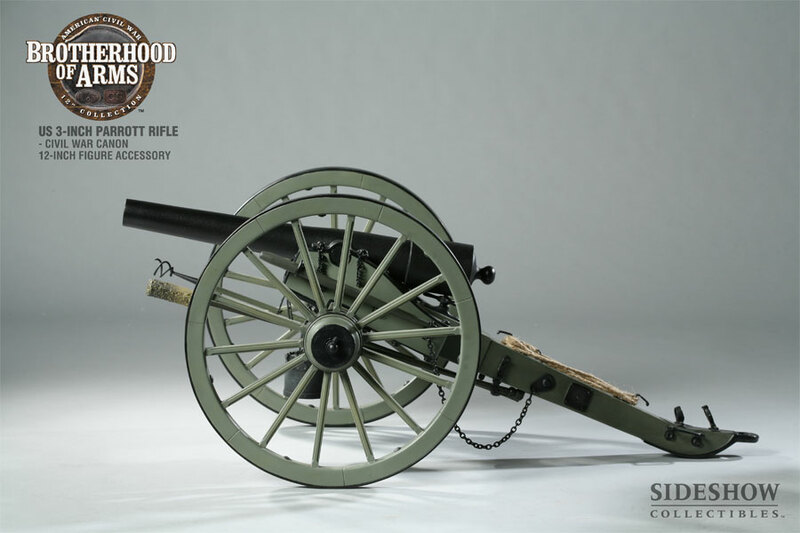 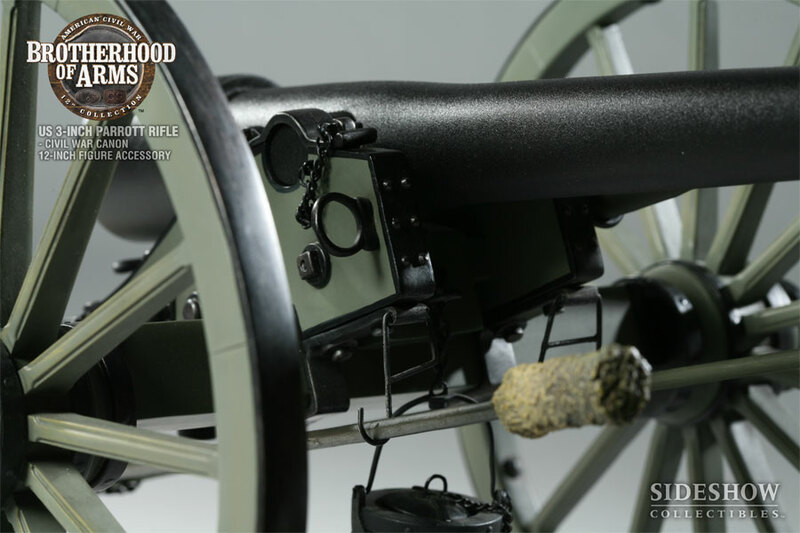 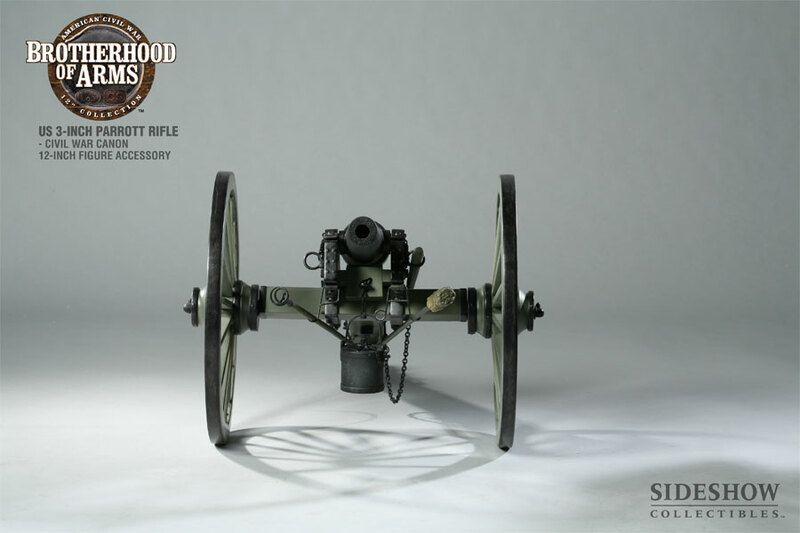 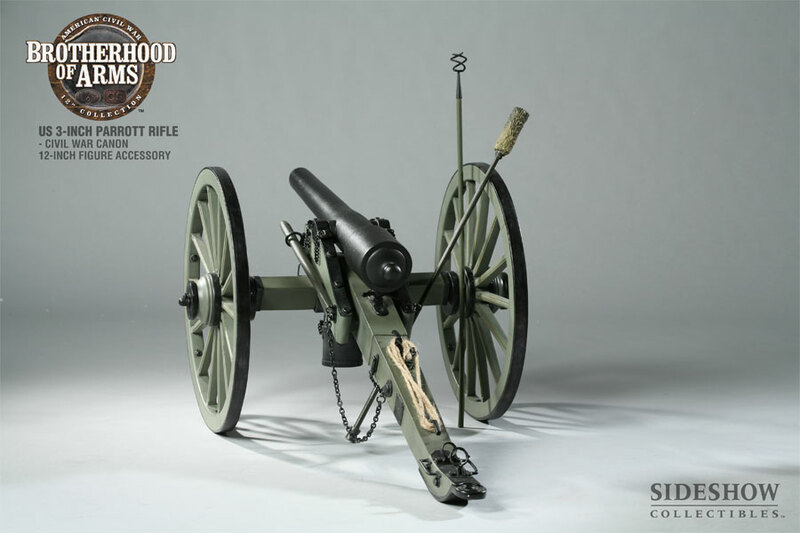 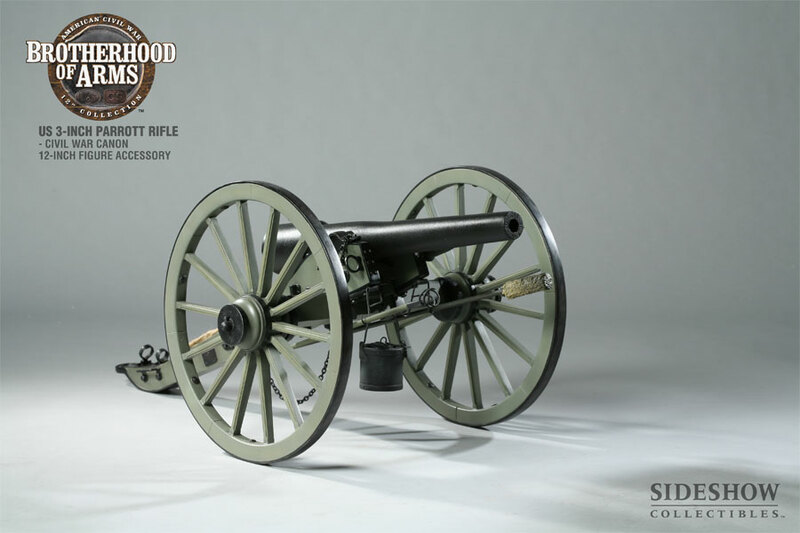 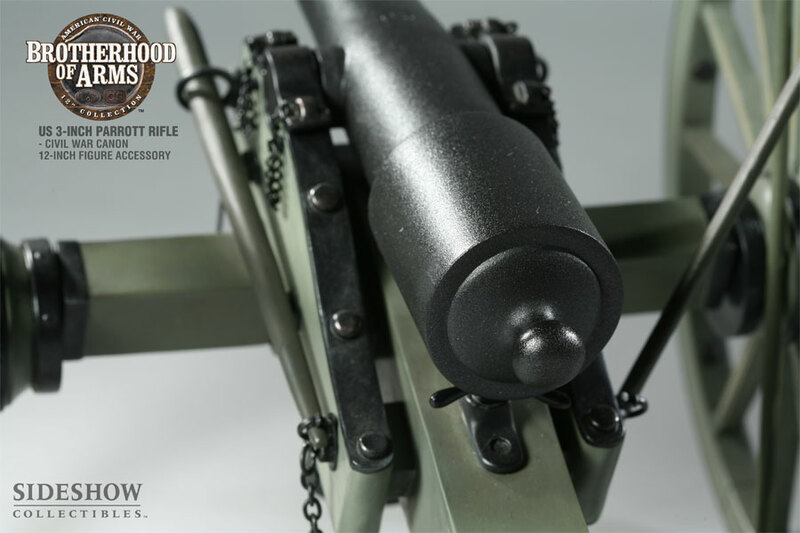 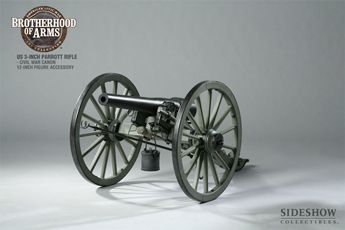 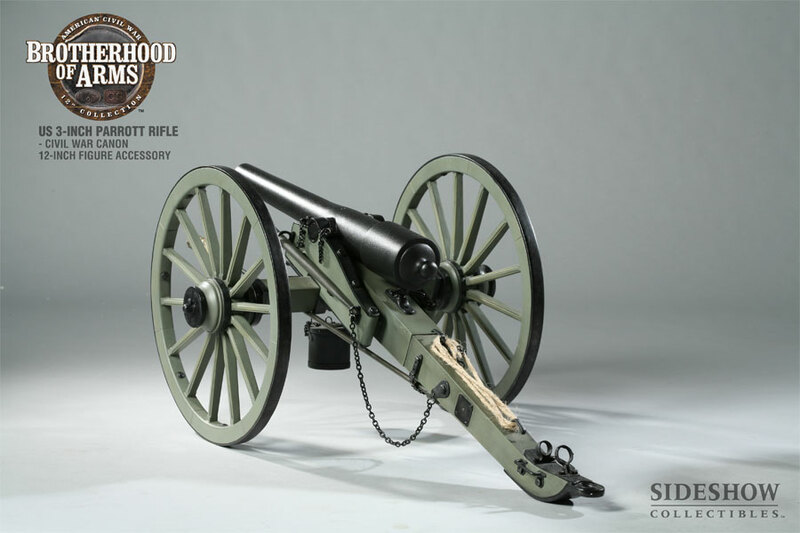 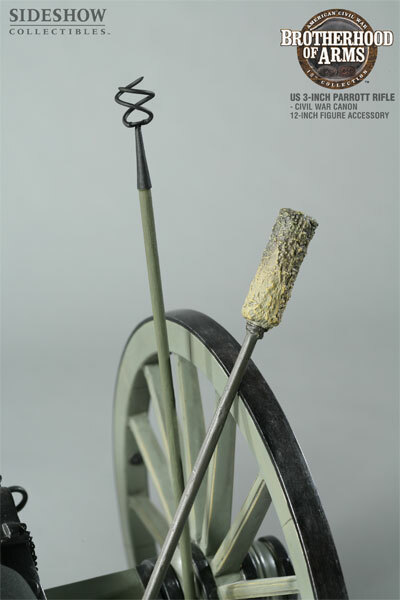 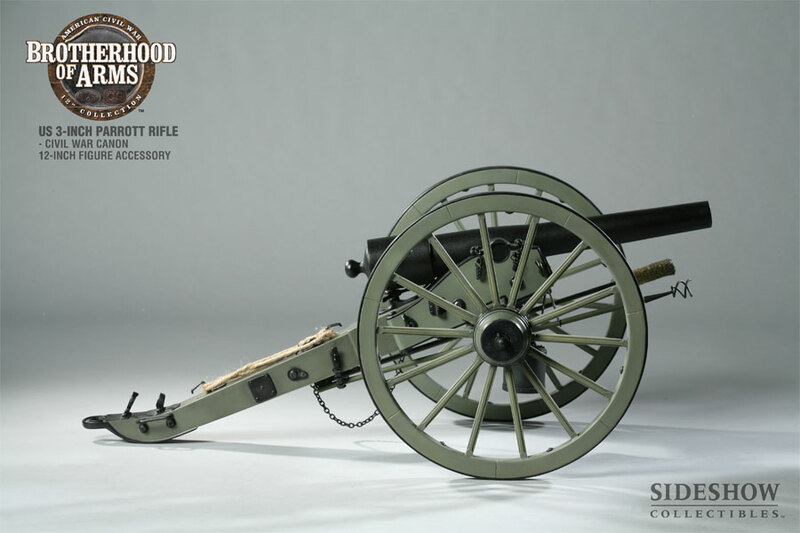 This replica of the 3-inch Parrott Rifle has been authentically reproduced in 1:6 scale from US Ordnance Dept. 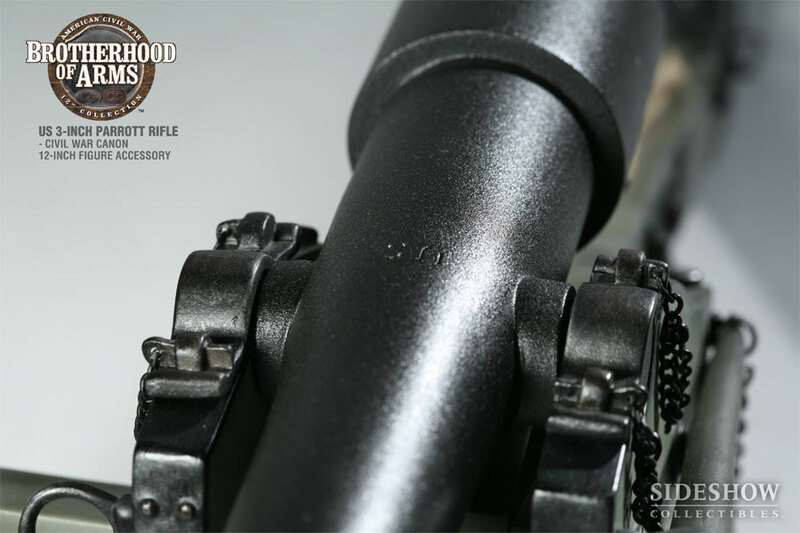 blueprints. 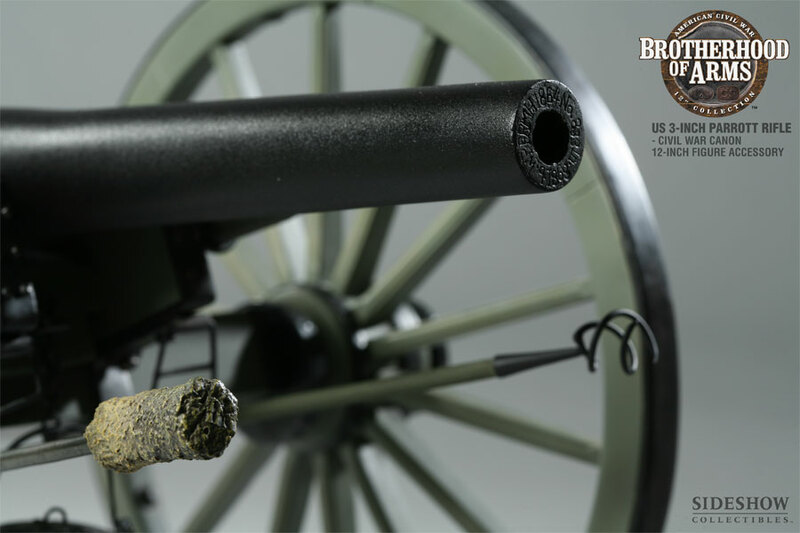 It is cast in high-quality, heavy-weight polystone and real metal parts. 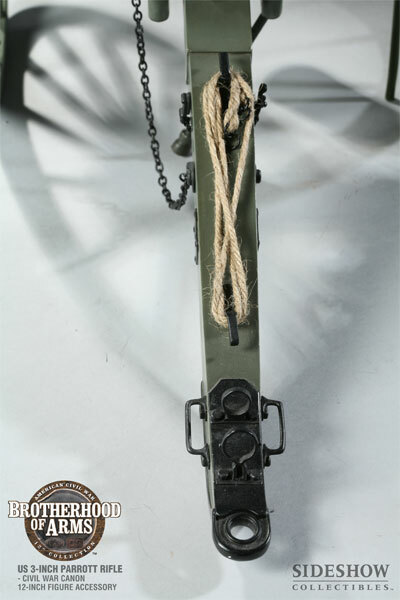 All gun implements are removable to allow maximum display flexibility. 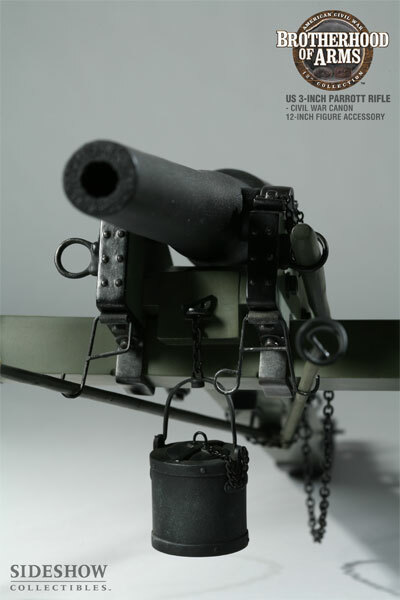 The rifle barrel and wheels are also movable.